If you’re looking for a highly resilient and exceptionally stylish paving solution, porcelain paving slabs are the perfect choice for any outside space. Available in an array of gorgeous styles, colours and effects, outdoor porcelain pavers are becoming an increasingly popular choice in garden designs. Unlike other kinds of paving, porcelain is extremely durable and able to withstand even the most extreme weather conditions and heavy footfall. Moss and algae can’t get established in porcelain, like they can in a porous stone, porcelain paving is also frost resistant, easy to clean and will stay looking as fresh and new as the day it was laid. At AWBS we have a fantastic range of porcelain paving, offering a highly versatile alternative to traditional stone. As with all of our products, we offer a price-match pledge and free local delivery from our Oxford, Swindon and Yarnton branches. With beautiful styles and effects, outdoor porcelain pavers are fast becoming a popular choice for all projects that demand high durability and low maintenance. Our porcelain paving slabs are available in an array of wonderful colours, sizes and effects, including exceptionally realistic replicas of wood and stone. The Digby porcelain paving range includes the beautiful Country Porcelain, which features a natural looking, slightly riven surface that gives off a subtle sparkle in the sunlight. For a gorgeous wood effect, the Digby wood porcelain paving pack features a shallow texture woodgrain over the surface, to create a truly stunning design statement. 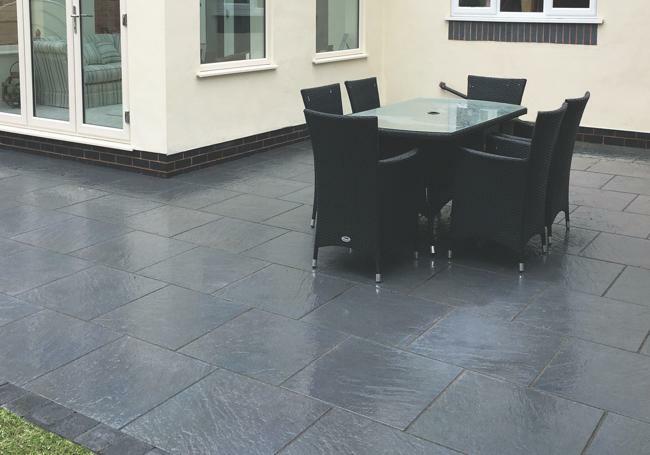 For a super contemporary patio area, the Bradstone Aspero is a magnificent choice in a variety of shades, including graphite and silver grey. To bring a sense of warmth and comfort to an outside area, the fibres in the Pavestone Crosswood porcelain paving blend together to create unique compositions and colour contrasts. To find out more about our outdoor porcelain paving packs, please visit one of our branches where our friendly staff members are always on hand to offer advice and answer any questions you have about your project.